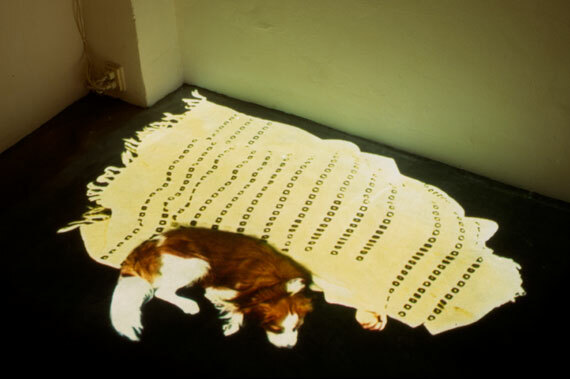 This video projection shows a dog on the floor of the space. Next to him is a blanket where the shape of a human can be seen. The dog stays very close to this person never leaving him out of sight.